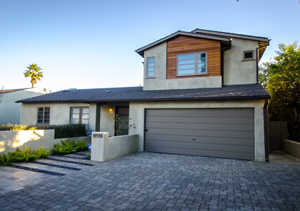 The style of your home is optimized with warm-texture changes that achieve a family-friendly, upscale look. 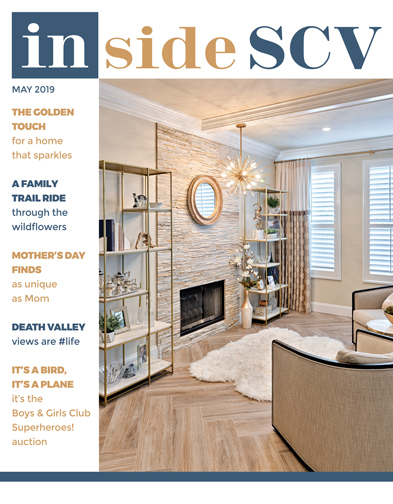 Embody this style trend by introducing leather with fabric, warm woods with metals, and piece-in-stone tops with interesting materials to create an earthy, clean look that appeals to everyone. Try placing a quality leather sofa with a soft, knobby throw and some colorful pillows to sit on top of a hand-knotted wool rug. Use strong wood tables paired with iron or stone lamps and spot in color with your accessories and wall art. Find an antique artifact to hang on the wall and don't forget to add a houseplant for organic texture. The boom in this classic trend is in response to the cool color palette that has been "hot" in the home decor industry. 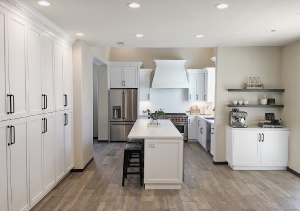 White cabinetry is a great complement to the grays, blues and metallic that are so popular right now in paint, wall paper, artwork and furniture. 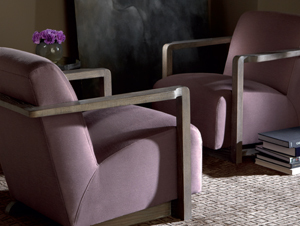 Look for soothing, cocooning pieces that work to make your home into an inviting sanctuary. Modern glam continues to trend with lots of jewel tones, luscious velvets, tufted and quilted patterns and moodier, subtle palettes. Also on the horizon for 2018 are floral prints in bold, contrasting colors. We're seeing these for draperies, throw pillows and chairs. Juxtapose these against organic textures and neutral palettes, or ramp it up with the rich, deep color of the year selected by Benjamin Moore and Sherwin Williams. Mixed metallics, led by brass, and often in matte finishes, are big in light fixtures, accent furniture and hardware. 2018 is the year of Wabi-Sabi, finding beauty in imperfection. 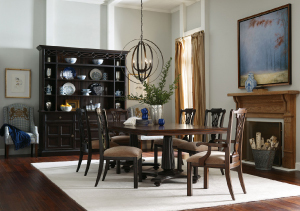 Look for handmade or hand-painted accessories and natural accents in warm wood tones. Thinking of new flooring in 2018? Statement floors in bold colored geometric tiles and herringbone style hardwoods are hot! Dress up both your interior and exterior at the same time with 2018's top window and door trend: French rail sliding glass doors. 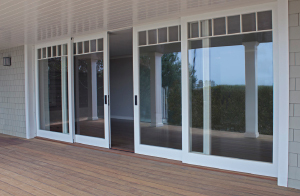 You'll benefit from the space-saving convenience of a sliding-glass door while enjoying the beauty and luxury of a French patio-door look. They don't "swing," but they look like they could, thanks to the wider stiles and rails - all while giving you a stunning view whether you're coming or going. We're no fans of DIY projects that look... DIY. 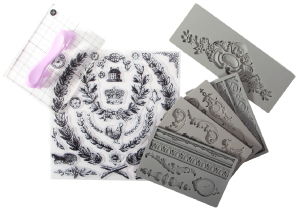 Thanks to the stamps, moulds and transfers from Iron Orchid Designs, we're able to pull off professional-looking projects that earn a second glance for all the right reasons. Don't know where to begin? 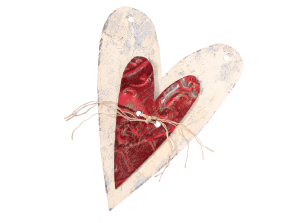 Sign up for a workshop and get inspired with the help of Barn and Charm. 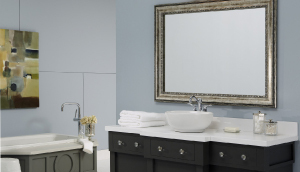 Spruce up your bathroom with Mirror Mates - gorgeous, on-trend "frames" for your dated contractor-installed mirrors. Applied professionally right on top of your mirror, these innovative additions will add texture, color and high-design to your space. European kitchens and baths are always in style, but they're not usually associated with "affordable" - until now. 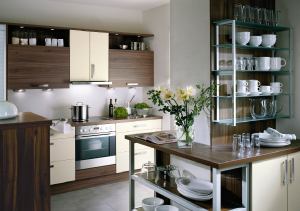 Dannick Design is the exclusive carrier of Bauformat Cabinets that are precision crafted in Germany - and you're going to love their quality and design. Homeowners can have their contractor (Or Dannick!) complete the installation. Refined Vintage Boutique is known for informative, fun workshops crammed full of information, tips and hints. Paint Therapy workshops were formed because so many of their customers claimed they had so much fun in the paint classes that they wanted more. That's how Paint Therapy began! Paint Therapy is a collection of project-based workshops, each month offering a new way to create. This month, the focus is Valentine's Day. Using different painting mediums, painters will make unique gifts using metal shapes. These classes are awesome; you learn about new materials, work with things in new ways and go home with a completed project that's completed in a warm, friendly, relaxed atmosphere. Past projects include wood trays, painted mason jars, stenciled wood and more. You love the look and comfort your carpet and upholstered furniture provide - but is there a chance they're making you sick? 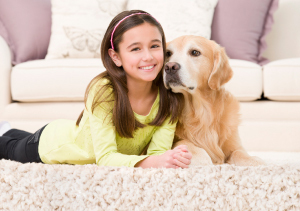 Carpet and upholstery act as filters in our homes and offices, which can be great - they keep allergens, bacteria, mold spores, dander and more trapped in their fibers. But when those same fibers become saturated, those nasty bits are released into the air you, your family and co-workers breathe with every step you take. Carpet and upholstery cleaning aren't just for aesthetics - they're for better health. ChemDry has been proven to remove 98 percent of allergens from carpet and upholstery... and they're pros at making your home, or your home away from home (Your office!) a healthier, happier place to be. 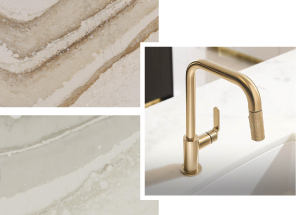 Fuse the cool feel with Cambria Quartz's new warm colors like "Brittanica Gold" & "Brittanica Warm," both which pair perfectly with Brizo's new faucet, "Litze," in a stunning gold finish. It's always a good time to re-evaluate the most-used space in the house, but 2018 really has become "the year of the kitchen," thanks to the increased variety in custom cabinetry, custom layered moldings on top of cabinets (The look is tailored and beautiful! ), quartz countertop options (Extra-large black cabinet hardware makes it pop!) and fun additions like perfect little coffee bars. Case in point: This kitchen was originally half the size. After removing a wall to the dining room, the entire kitchen was extended. It's one of a kind - and totally trend worthy. Would your exterior benefit from going "blah to beautiful" with the help of a professional color consultant? Interested in protecting your home, all while increasing the overall marketability and value of your property? 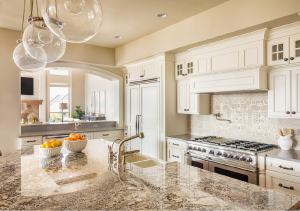 If revitalizing the look of your home and bringing new life to your space is on your list of Spring Cleaning to-do's, it's time to call in the experts. Considering an interior spruce up? Take 10 percent off your interior paint project when you schedule it in February. Call for a free estimate to reserve your offer.